Thousands of factories in China have shut down after a series of inspections by the Chinese Ministry of Environmental Protection (MEP). The government has been strictly enforcing pollution regulations as it strives to meet air quality targets and reduce soil and water contamination. 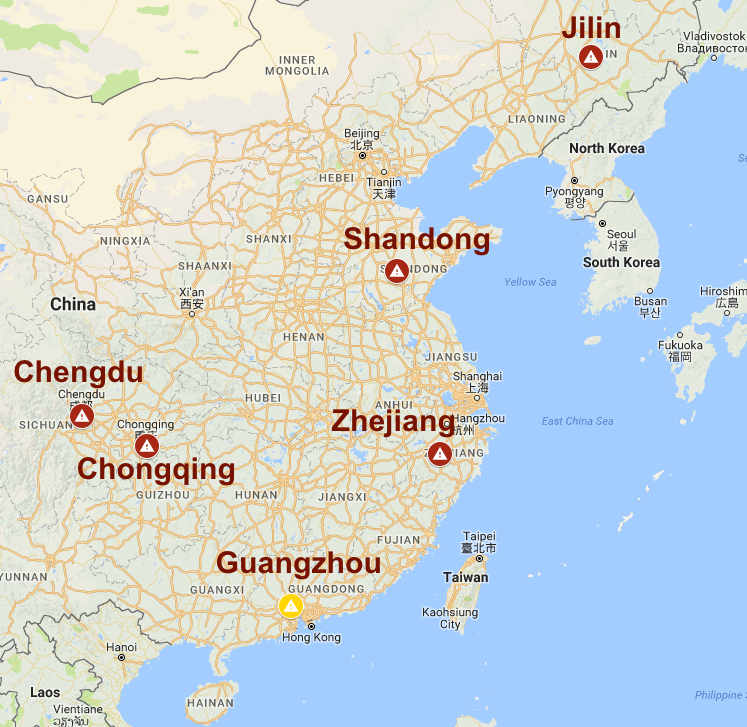 At this point, the closures are concentrated in the provinces of Jilin, Shandong, and Zhejiang, and the cities of Chengdu and Chongqing. The Journal of Commerce reported that factories in Guangzhou will soon be impacted as well, as soon as October 2017 and possibly into 2018. The closures are affecting a variety of products and manufacturers: metal, plastic, printing, textiles, and rubber, among others. This is causing severe delays in the midst of peak season, in many cases with no known timeline for resolution. Enforcement varies by region, and there isn’t always an established date for the closed factories to reopen. Furthermore, even when factories do resume production, they’ll have significant backlogs to work through, which will cause cargo ready dates to be pushed back even further. It can be difficult to predict whether or not your supplier will be affected, because, as the JOC noted, the MEP isn’t just targeting tier 1 suppliers: they’re going after component suppliers, too. Many importers, especially smaller businesses, may not know who supplies their supplier, and whether that component supplier has been following China’s strict environmental regulations. When you meet with a potential new supplier, the conversation shouldn’t end with “How much will you charge to manufacture my product?” In some cases, factories are able to charge a very low price because they’re not complying with Chinese regulations. Maybe they’re grandfathered in under a local rule that allows them to keep manufacturing, or maybe they have a connection at a local regulatory agency who just looks the other way. Ask about their inspection history — when is the last time they were inspected or audited by, say, the MEP? What were the results? What certifications and/or licenses do they have, and can they show you copies? If possible, visit the factory to check things out for yourself. Are the employees wearing uniforms, and utilizing proper safety gear? Can you view their health and safety records? Do you see anything suspicious in their waste management practices (or lack thereof)? Does the supplier have any marquee clients? Who are they? Enterprise companies are very likely to employ their own rigorous sourcing policies when choosing suppliers. So, in general, if the supplier is also selling to a large multinational company, they have probably met that company’s global supplier selection standards. Another way to minimize risk is to source a product from multiple suppliers, even in multiple countries. If a single factory in China is producing your most popular product, and it gets shut down 3 months before Christmas, you’re probably in trouble. If you have a supplier in Guangzhou, now’s the time to check in. Ask if they’re worried about the upcoming inspections, and find out how confident they feel about avoiding a shutdown. It may be wise to begin looking at alternatives. If you already know that your supplier has suspended operations, unfortunately, there’s probably not much you can do. These shutdowns, and corresponding shifts to cargo ready dates, are likely to add volatility to carrier schedules and vessel capacity. If importers shift from ocean to air in order to meet holiday deadlines, that will serve to drive up demand for air freight services and prices, which are already very high. Don’t hesitate to reach out to your freight forwarder for advice, or for help contacting a difficult-to-reach supplier. Jerry leads operations in Asia, where he is building world-class teams and operating capabilities to deliver innovative solutions for customers, carriers, and partners. He joined Flexport from General Electric, where he held multiple global supply chain and operations leadership roles in the US and China. He has a Masters in Supply Chain Management and a B.S. in Mechanical Engineering from Penn State University.